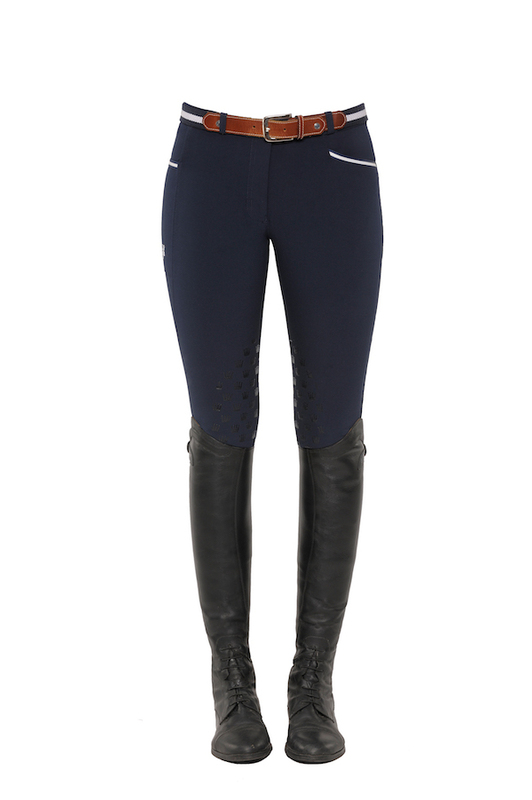 Very comfortable and stylish knee grip breeches with a practical mobile pocket along the right leg and elastic foot cuff. The grip features small Spooks crowns. 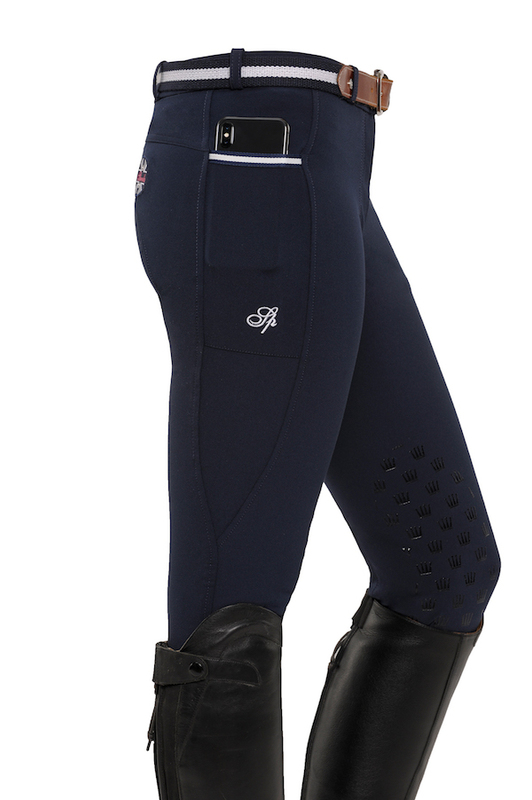 In addition, the breeches have a Spooks logo patch located on the back right.